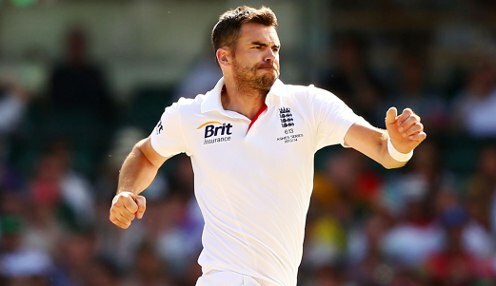 James Anderson took the final India wicket to become the most successful fast bowler in Test history as England won the fifth Test by 118 runs to wrap up a 4-1 series victory. England were struggling to follow up a memorable fourth day at The Oval, in which former captain Alastair Cook hit a century in his final Test innings before retirement, before India were reduced to 58-3 at stumps having been on 2-3 at one point. Ajinkya Rahane and Hanuma Vihari lost their wickets in the morning session, but KL Rahul and Rishabh Pant dug in to both notch up a century in a sixth-wicket stand of 204 to leave England frustrated. Indeed, the duo were still at the crease going into the tea interval with India on 298-5 - just 166 runs short of chasing down a world record target of 464 for the victory. I'm so happy that Cooky was on the field to see that final wicket. It's been a tough week. However, a wonderful delivery from Adil Rashid finally made the breakthrough with India on 325-5 as he removed Rahul on 149, before he quickly took the wicket of Pant on 114 for the loss of just three more runs. Sam Curran then took a brace of wickets to remove Ishant Sharma and Ravindra Jadeja, before Anderson produced a fairytale finish as he clean bowled Mohammed Shami for a third-ball duck to ensure he moves one ahead of Glenn McGrath on to 564 Test wickets as India were all out for 345. Afterwards, an emotional Anderson told to Sky Sports: "I'm so happy that Cooky was on the field to see that final wicket. It's been a tough week. "But I got into a good rhythm and thankfully [Joe] Root let me take the new ball eventually and give me a chance to take that wicket. "Cook is my best mate and it's been brilliant just to have him there for me all the time." Meanwhile, England are 4/5 to win the Ashes in 2019, while Australia are available at 7/4 and the draw is 5/1.